Carver Darden is pleased to announce that Jacqueline Brettner will serve as an Empower 2019 Mentor at the Empower 2019 – Women Empowering Women event scheduled for April 9, 2019 at the Ritz-Carlton New Orleans. The event is a collaboration between Junior Achievement and New Orleans CityBusiness. The goal is to mentor and empower professional women throughout their careers. Attendees will benefit from meeting, networking and speaking with inspirational leaders from a variety of industries. The event will feature successful leaders in the community and discuss their efforts to support and empower women. The program will include vignette testimonials, a panel discussion and mentoring circles led by former CityBusiness Women of the Year honorees including Ms. Brettner. For more information about the event and the roster of speakers, as well as to purchase tickets, please click here. 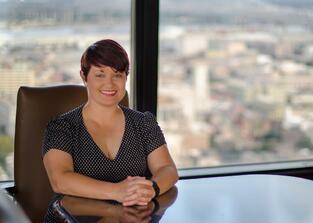 Jackie Brettner is a Partner with Carver Darden Koretzky Tessier Finn Blossman & Areaux LLC.